"The design process is an exciting journey to find the best experiences; no two paths will be the same"
To create a personal identity system that symbolizes who I am and represents my passion for design. 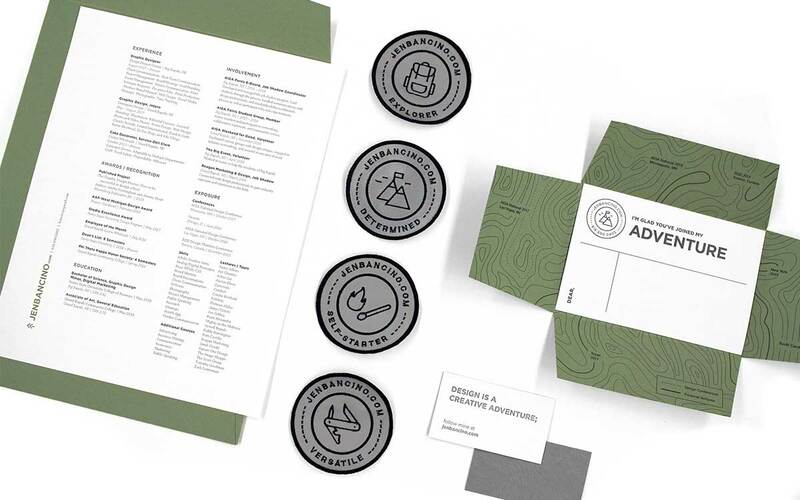 For my personal identity, I wanted to create a system that spoke to my true love of nature and also represented my passion for design. 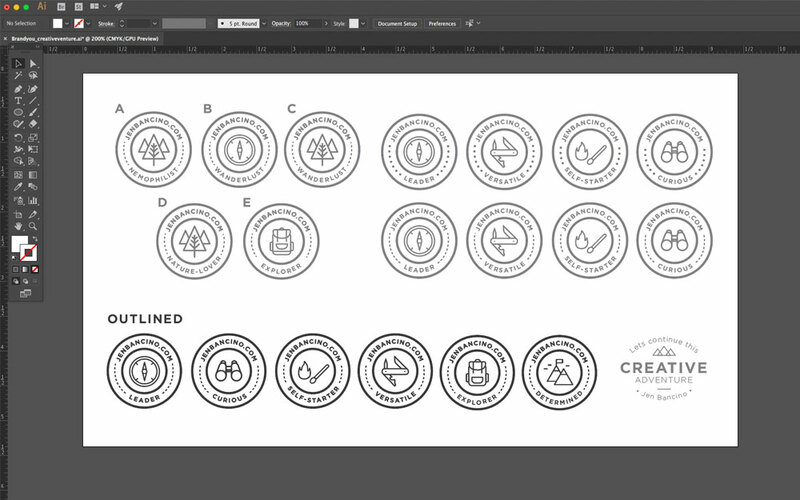 I used various adventure’esque symbols and inspirations throughout my identity system. I also wanted the theme to carry throughout, all the way down to the paper. 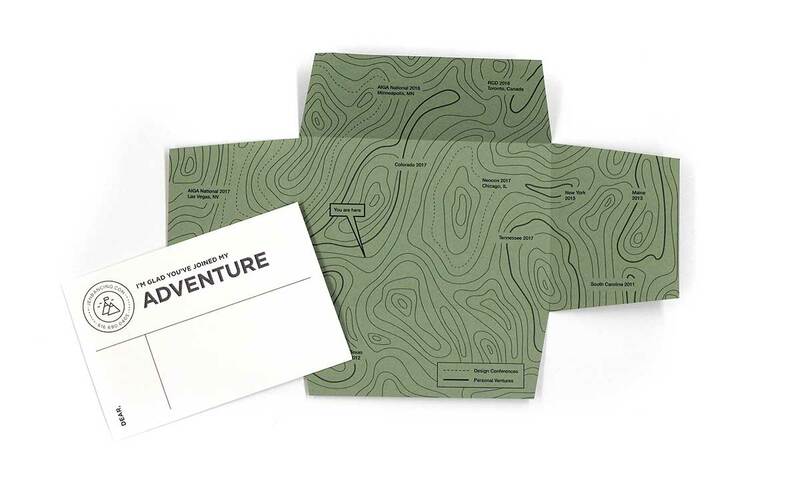 A cotton paper was used throughout the system to give that “toothy” feel, as well as letterpressed business cards and thank you cards to extend the texture of the topographic design and rugged feel. 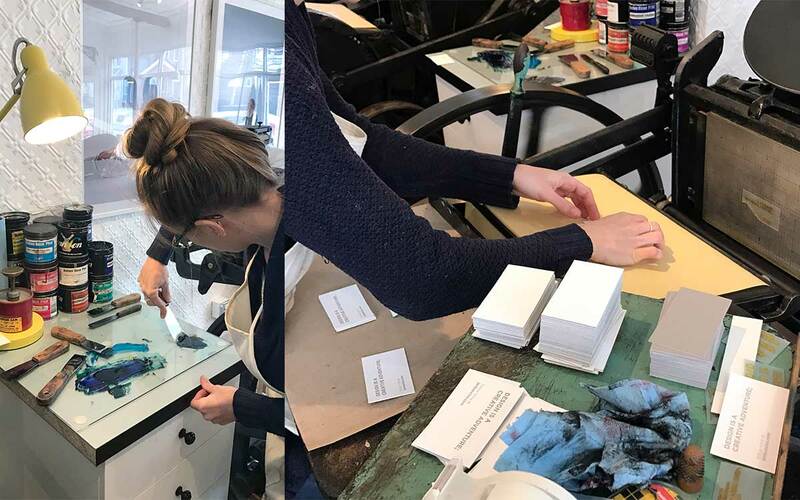 Learning about the art of letterpress and seeing my business cards come to life! 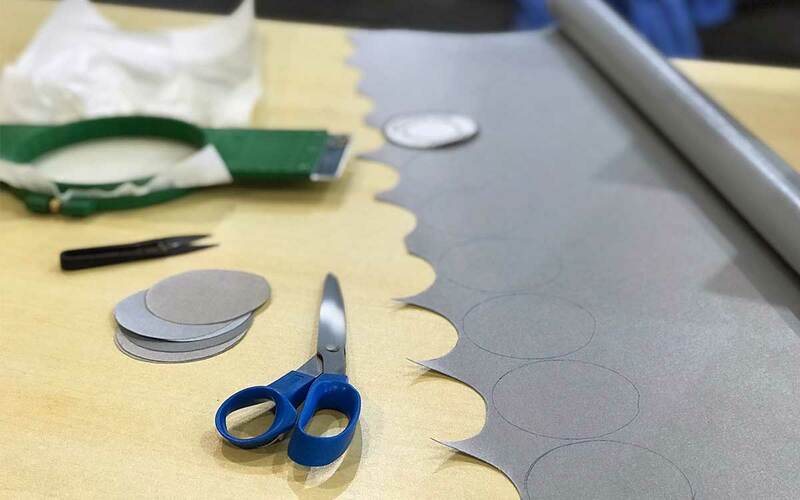 The tedious process of hand-cutting each patch base before spray mounting them to a backing material to prepare for stitching. 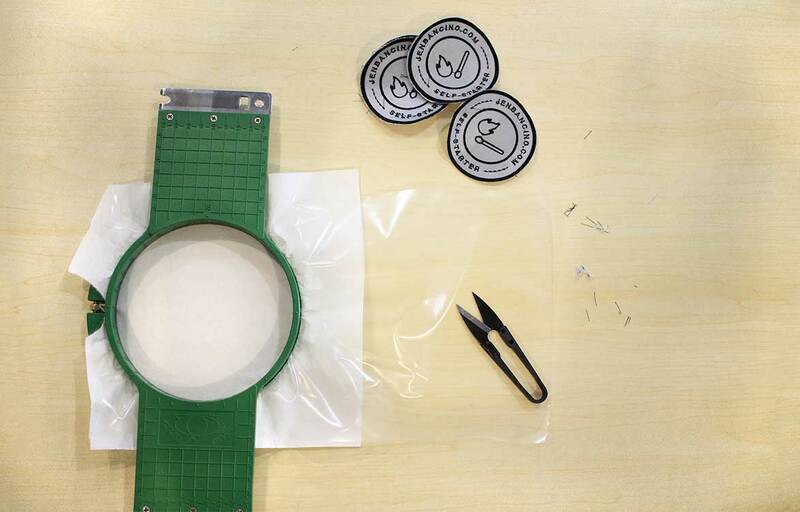 The stitching loop that gets loaded to the embroidery machine, one patch at a time, and a look at the finished pieces! Thank you mailers. I knew I wanted to something a little different for a lasting impression to represent me and my brand. The mailer map includes a key that highlights my personal ventures and design conferences to represent my exposure and desire to travel and gain exposure to various cities and cultures. 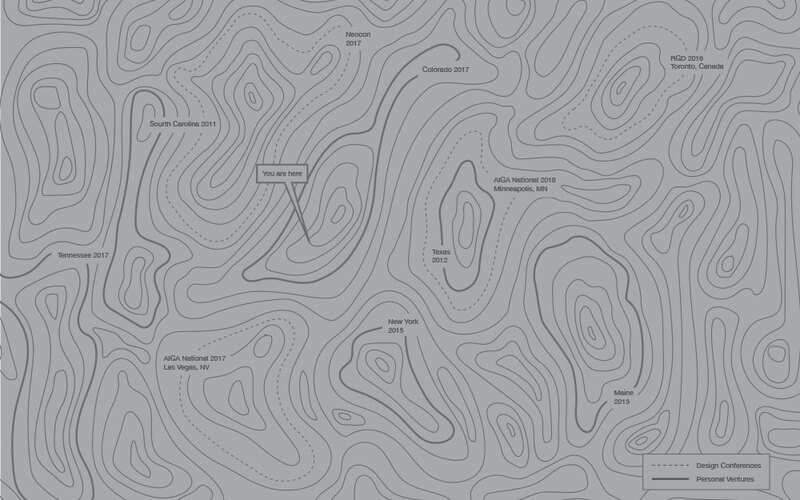 Topographic design encompassing design conferences and personal ventures.